My kids LOVE this and when I say love I mean REALLY love it, it's like I can't even get their faces out of the plates and there's always requests for seconds, and leftovers the next day. I have to admit, I love it too and so does the hubby. It's a very simple recipe and pretty versatile, I've made it for a hearty breakfast, I've served it for a quick lunch and even for dinner with a salad. Cook bacon in the skillet over medium heat until bacon is crunchy. Remove bacon from skillet and place on a paper towel. When the bacon is cool, break into pieces. Don't drain the bacon fat. 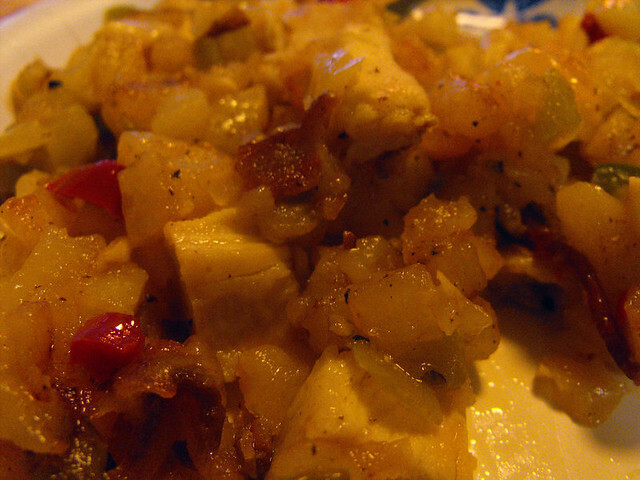 Add the potatoes o' brien and cook until tender, remember to keep an eye on it and stir frequently so it won't stick. 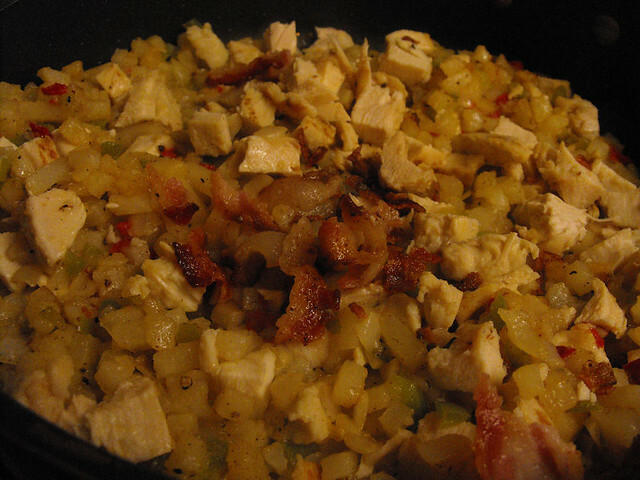 Add the chicken chopped into cubes and the bacon pieces. stir well. 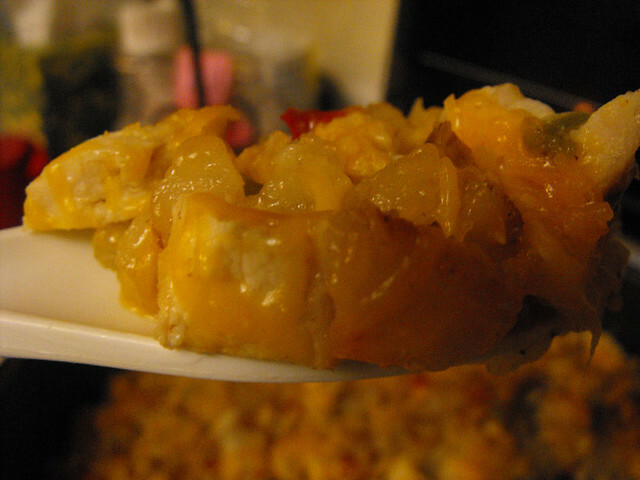 Remove from heat and add the shredded cheese, cover and let the cheese melt. Serve immediately. This looks yummy! I can't wait to make it. 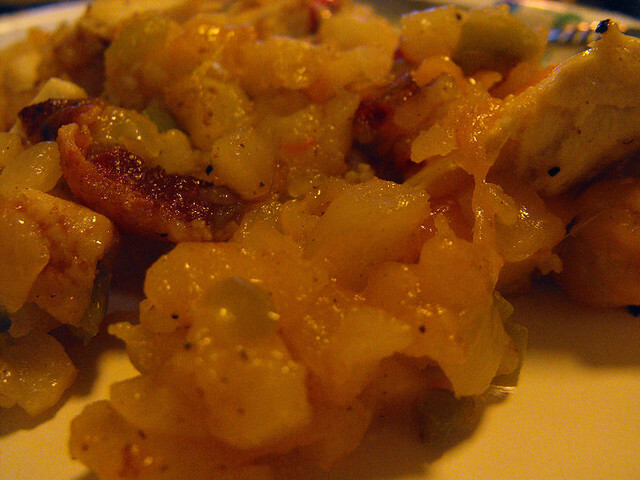 Nothing like easy and delicious comfort food. Thanks for sharing.